This winter, stay warm and comfy while maintaining your stylish look in the Infinity Bow Wrap. This is the perfect evening wrap sewing pattern to wear to both special occasions and casual events. 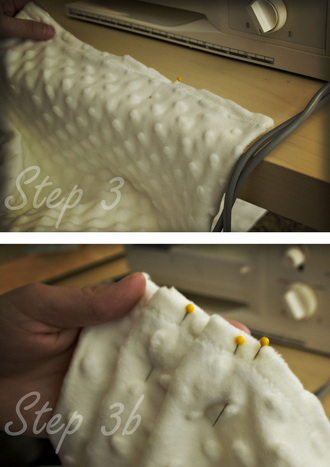 Go for elegance with this simple sewing project by Angel from Fleece Fun. Find the video tutorial for this project at the bottom of the page. 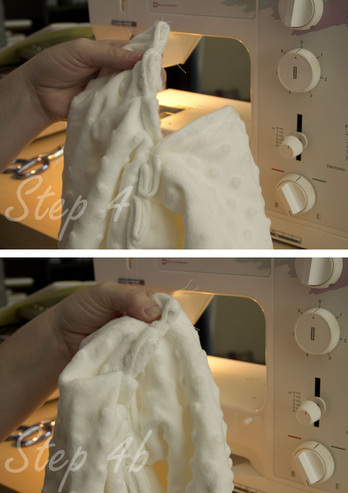 Begin to Sew: Taking the large piece of fabric (the one that goes around your shoulders) – fold it in over on itself right sides together (so it’s the same length, just half the width) and sew, using a .5 seam allowance all the way down the fabric length. This will make a large tube turn right side out ( so all the soft goodness in on the outside). 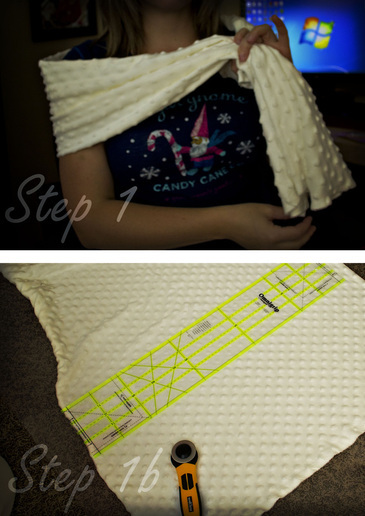 Gather part of each end: To help with the “bow” look, we’re going to make some pleats (folds) on each end of the scarf. Looking at the end of the scarf mark about 1/3 in of the width. Then (and this doesn’t have to be perfect) make three pleats by folding over the fabric and pinning using 2/3 of the width. (See picture) Repeat on the other side taking care that you do this on the opposite side. You should have the folds on the top on one side and on the bottom on the other. Once you have pinned each side sew the fold in place using a straight stich about .5 from the end of each side. Sew all the way down completely closing the wrap ends. Join the ends: Taking the each end and bringing it together, the one side should have pleats and the other should be straight. Pin the pleats on top, each side ( you will “twist the fabric in the middle to make this happen). The overlap should be about 1 inch. Then sew, together, through all the layers of cloth (be careful and go slow). This should make the wrap one large circle. Wrapping It Up: Taking the 5x9 piece of fabric turn under the edges .5 inches and using a zig zag stich sew the ends down. Then take the piece and with right sides together wrap it around the wrap – pin the ends together and sew using a .5 seam allowance, taking care to keep all the other fabric out of the way. Turn right side out, slide so that if covers the seam where the wrap ws join and hand stich a few stiches in the back to make the loop stay in place. Finished! 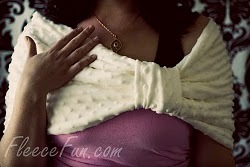 You now have a cute wrap, that feels as good as it looks! I haven't tried to do this yet, but it's beautiful and would look stunning on a bride. Both sides have pleats, so they are matching. On the video, she says it at about 2:25, and written on step 3 as Repeat on the other side.